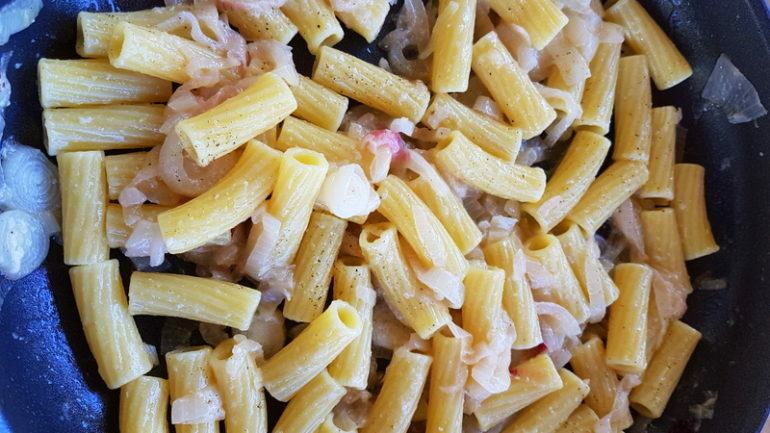 Elicoidali pasta with Tropea onions from Calabria. Elicoidali con le cipolle di Tropea. The Italian region of Calabria is famous for its sweet red onions named after the popular beach town of Tropea. The main growing area for these onions is south of Tropea, around Ricardi and Capo Vaticano, although they are grown all over Calabria. However, the ones grown closest to the sea are particularly sweet because of the sandy soil and mild climate. The Tropea onion was apparently introduced to Calabria by the Greeks, who had discovered it thanks to the Assyrians and Babylonians. 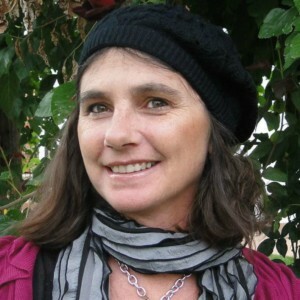 However, it was the Arabs who perfected its cultivation in Tropea and contributed to its spread throughout the region. 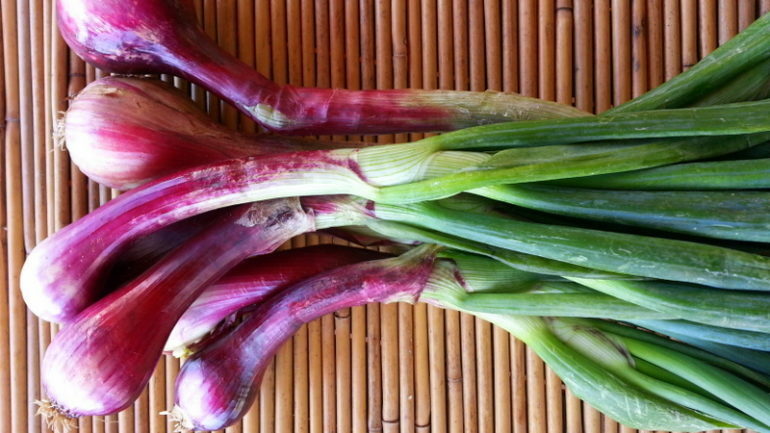 Tropea onions come in two shapes, oval and round and are a D.O.P. onion, which means that they are registered by the European Union under the Protected Designation of Origin legislation which ensures that only products genuinely originating in a particular region are allowed to be identified as such when sold. These onions are particularly loved by Italian cooks for their sweet taste and the fact that they don’t make you ‘cry’ when you peel and chop them! Calabrian cuisine has a lot of different recipes for Tropea onions including one which involves baking them in salt! In Calabria, they are also used to produce a delicious onion marmalade, which is eaten on crostini as an appetizer or as an accompaniment to roasts. There are also quite a lot of recipes for pasta with these onions. Some include other vegetables and others are made with fish. This recipe is one of the simplest but I think it brings out the taste of the onions. It’s a kind of cheese and onion pasta but both the cheese and the onions have very specific flavours. 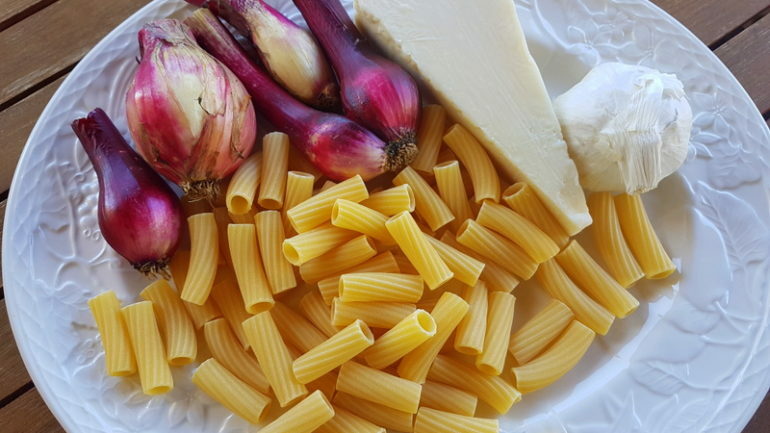 Most pasta dishes with Tropea onions are made with pasta tubes such as rigatoni or macaroni (Italian write it ‘maccheroni’),although spaghetti is popular too. I used elicoidali which are similar to rigatoni. Like rigatoni, this pasta is a tube shape but the ridges are curved around the tube rather than straight and the pasta is slightly curved and narrower than rigatoni. 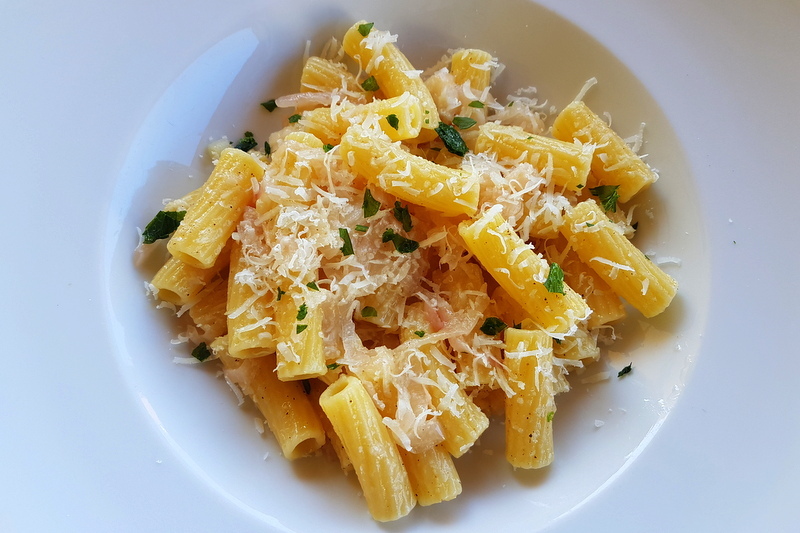 In Northern Italy, this pasta shape is often called tortiglioni. Of course, you can make this dish with other types of red onions, but if you can find Tropea onions the result will be much more authentic and most probably sweeter. 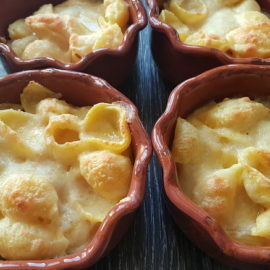 It’s a simple but flavourful recipe that I’m sure anyone who loves the combination of cheese and onions will enjoy! 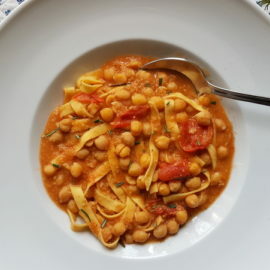 Pasta and Chickpea Soup from Tuscany. I always enjoy your pasta posts and learning about the Italian ingredients. I need to kick up my pasta dishes and am always amazed at what you cook. I love pasta in any shape or form.The addition of these sweet red onions must have given the pasta a delicious flavour. 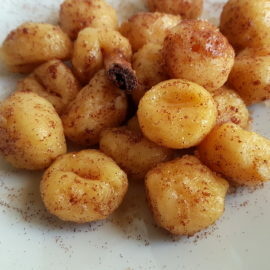 so simple and yet so delicious! I am obsessed with pasta recipes. I make a pasta dinner at least once a week. This one looks like a winner! This pasta dish looks absolutely delectable! I love a good white wine sauce! I cannot wait to try this!